Having already toured with The Hold Steady, received airplay on BBC Radio 1 and played out on Soccer AM, singer-songwriter Mortimer Jackson returns with indie rock single ‘Chancers & Rats’, dropping June 22nd. After being a finalist at a BASCA supported songwriting competition, Mortimer Jackson returns with infectious vocals and melodies. Taking influence from the classics such as Blur, Oasis and Joy Divison, yet keeping it modern with sounds similar to Miles Kane, DMA’S and The Vaccines, Jackson’s sound appeals to the masses. 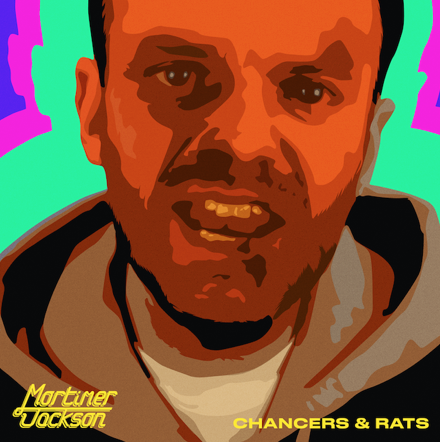 Showcasing his distinctive vocals, ‘Chancers & Rats’ follows two people from completely different walks of life who come together to beat the system. Produced and recorded at Audiobeach Studios in Brighton, mixed at Buffalo Studios in London and mastered by Grammy award winning Robert Harder in California, ‘Chancers & Rats’ is released June 22nd.